Boston has health and fitness in its soul. From its extensive network of industry-leading hospitals to its world-class gyms to a thriving wellness community filled with the most innovative and thoughtful professionals in the industry, there’s a lot going on. It’s even got the world’s best marathon. Here at Boston magazine, we pride ourselves on being your one stop shop for all the information you need to stay healthy and fit. 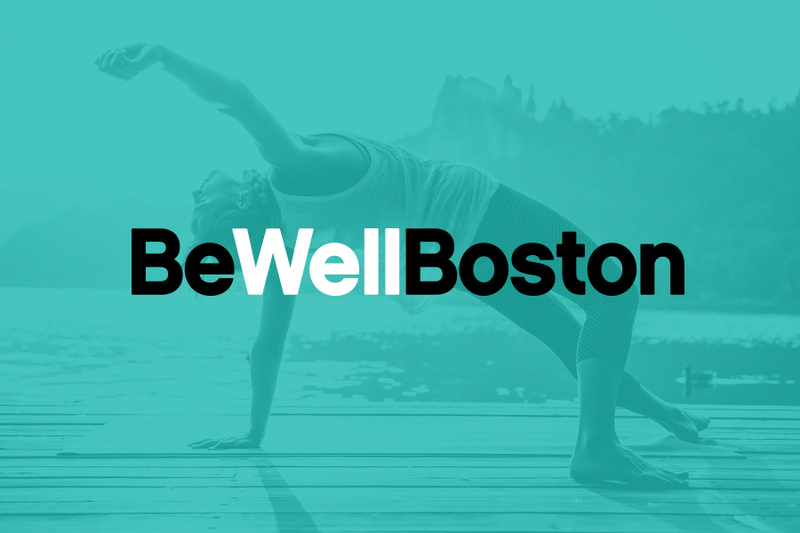 And that’s why we’re so excited to be rolling out a brand new name, look, and feel for our wellness content, which we’re calling Be Well Boston. But we’re not getting rid of the things you love. You can still come to us for updates about the trendiest gym openings, information about free workouts around town, tips from local wellness experts, and eye-catching health news. Going forward, you can expect to see a lot more fitness events and panels. Our Be Well Body events will involve fitness classes throughout the year, all led by studios and instructors doing some pretty rad things in the space right now. And our Be Well Mind events will consist of a series of panel discussions featuring influencers and experts in the field. Each panel discussion will hone in on a different pillar of health: movement, nutrition, sleep, and stress management. Here at Be Well Boston, we feel these pillars are the foundation of living a healthy life, and consequently, our content and mission as a brand will always touch on some aspect of them. And as always, what makes wellness in this city so great is the community. Whether you’re an avid cyclist, a yogi, a runner, or a weightlifter; whether you inhabit a larger, smaller, brown, white, or disabled body; whether you’re a hustler or need a little more self-love in this season of your life; whether you identify as part of the LGBTQ community; whether wellness to you is drinking green juice or enjoying a cookie—everyone is welcome in this space. And Be Well Boston will serve as your hub for health—no matter what being healthy and fit looks like to you. Join the conversation and be a part of our community on Twitter and Instagram and get all the latest health and fitness news from Be Well Boston sent straight to your inbox by signing up for our twice-weekly newsletter.